BLUE BRAIN – the search for strong artificial intelligence. Creating a mechanized “copy” of brain function. For me it’s one of the world’s most significant and intriguing science projects along with DARPA SyNAPSE which is also working towards strong AI but in a very different way. Using an IBM Blue Gene Supercomputer, Blue Brain is working to create a simulation of many of the interactions in the Neocortex of the brain (think “where we think”). Progress after a few years of the project seems pretty steady although DARPA SyNAPSE has been a lot more money lately as it dips into the massive resources of the US military. One of the paper’s most notable items asserts that within a decade the project expects to have the computational scale needed for human level modelling, though it also notes that this is not the same as creating a model of the human brain – this may require computational structures yet to be invented. However on balance it would seem the SyNAPSE project continues to build on their core assumptions, taking us ever closer to the holy grail of technology – a general artificial intelligence. 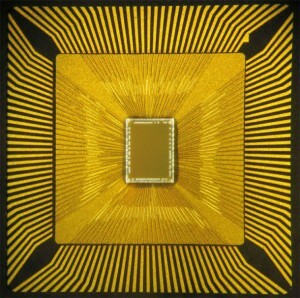 18 Aug 2011: Today, IBM (NYSE: IBM) researchers unveiled a new generation of experimental computer chips designed to emulate the brain’s abilities for perception, action and cognition. The technology could yield many orders of magnitude less power consumption and space than used in today’s computers. 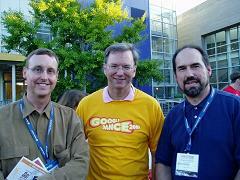 Brain-i-Nets Mission = General Artificial Intelligence. insight in how the brain learns.